Reebok and Her Campus Present Dorm Room Bootcamp! Reebok and Her Campus present the Fit-Smart Female Dorm Room Bootcamp! Learn from Fitness expert, Sarah Dussault, how to maximize calorie torch on a time crunch all in the comfort of your dorm! She teaches quick, easy workouts using your own body weight, books, beds, water bottles, or whatever you have at hand. As a Personal Trainer, Healthy Living Blogger at SarahFit, exercise enthusiast, and having appeared in Women’s Health Magazine, Glamour, Shape, and Men’s Health Magazine, Sarah is all about “enabling your passion for healthy living” even if time is not on your side! Learn the most convenient ways to workout, time management tips, and how a short sweat session will help your study habits. Make sure to RSVP this free and fun fitness event to receive one incredible takeaway workout, gift bags, and chances to earn entries into a Student Only Raffle! Additionally, take on the Fit-Smart Female Dorm Room Bootcamp Challenge! It entails attending at least 4 in store workouts between February 2nd-March 15th. Every time a student comes to a workout they will be entered into a students-only drawing for Reebok merchandise retailing up to $100. Who doesn’t love free workouts and a chance for free gear?! Bring a food log for our local Fitness Ambassador to review. Raffle entries for students only. Winner selected March 18th and notified by March 21st. Check out the Fit-Smart Female Dorm Room Bootcamp Schedule to see what you have to look forward to!! Reebok has recently undergone a whole heck of a lot of rebranding lately..if you haven’t noticed. Not too long ago they partnered with the well-known fitness trend, Crossfit, and have since then begun their mission to empower people to live a fit life. As their fitness ambassador, I have had the chance to get firsthand experience at what their concept store is all about. One of the biggest trends, that many stores like LuLu and Athleta, are incorporating is offering free fitness classes to the community within their store! Want to take a zumba class? Or try a Core Power yoga class? Head to Reebok’s South Shore Plaza Fithub store and you won’t be disappointed. Wheeled clothing racks on the store’s floor can be pushed aside to make room for these types of classes. Add in Kettlebells, boxes for box jumps, and medballs, and you’ve got what closely resemble a gym rather than a clothing store. The Braintree store is one of the many fit hub’s slated to open this year. 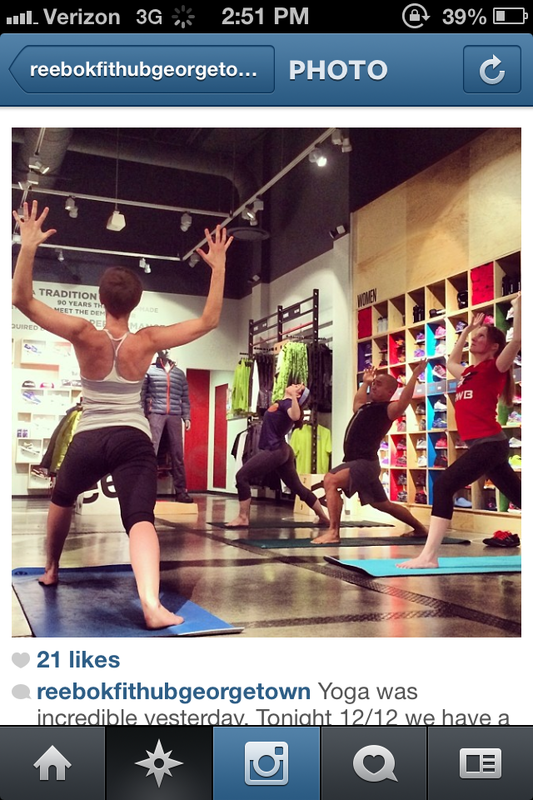 The new store concept is all about mixing retail with regularly scheduled exercise classes. And don’t be surprised if you find that the staff is able to answer any and all health and fitness related questions. The Fit Hub is staffed with fitness, nutrition, and product experts that will help you find the right gear for your workout. You can expect to receive expert advice on the products or on workouts in general. To encourage consumers to get active, Reebok’s Fit hub offers a plethora of FREE workout classes at the FitHub each week. Inside the store you will find the the Reebok Community Board, designed to connect its customers, but also provide a place where customers can learn how to get involved with other local events, discover new workouts, and learn about hot fitness trends and popular gyms and instructors. The goal: Give consumers the optimal fitness experience. 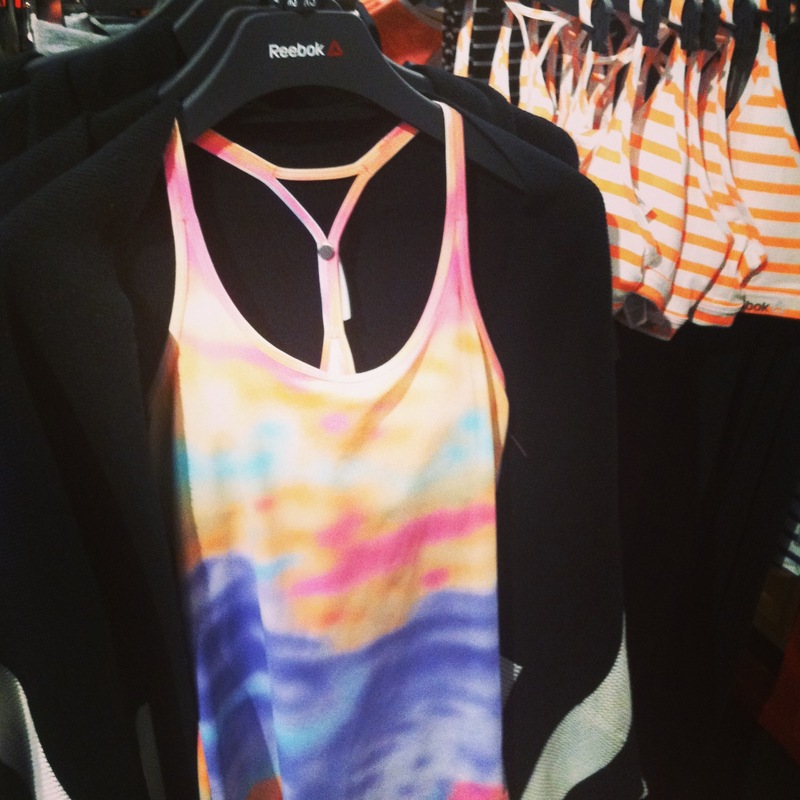 Not only will you find cross fit gear in store, but Reebok is really trying to show the public that they are the go-to for most fitness trends with their yoga and dance line as well. Right now people aged 25-35 are dubbed part of the fitness generation. We are the types of people getting out there and trying new trends and we need a product that supports that. We are the ones that will go to a barre class and then later a spin class or a cross fit class, etc. So, Reebok has really shaped their product to fit these trends in the fitness marketplace. No other company is this well-rounded, though I am sure we will see more companies going this route (ahem LuLu). Right now this is the place that one can go to and pick up product for most of their fitness needs. So what do you think? Have you tried classes at other stores? Have you liked them? Will you likely check out this Fit Hub Store?